On Thursday, October 3, my father passed away. He was not only an accomplished individual, yet he was a wonderful dad. A hole has been left in my heart and a special part of my life is now missing because he was a dedicated follower (and fan!) of Off the Merry-Go-Round. In my life, he was the biggest supporter of all my writing pursuits and professional accomplishments. 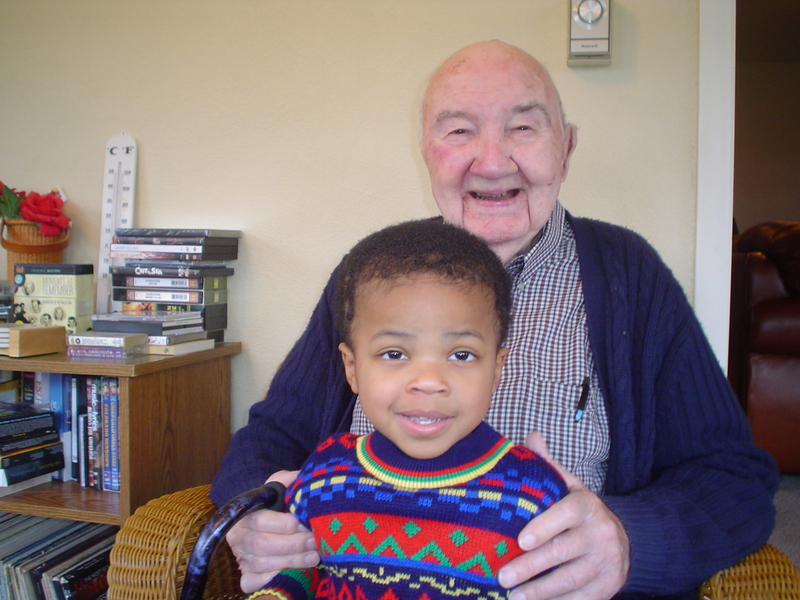 He was also the person who supported me most as an adoptive parent. That now sometimes makes it hard for me in both these areas of my life because they are the two most important things to me, and I am missing his words of encouragement. On a positive note, though, as he knew he was becoming weaker he began writing me more letters than usual with encouragement in those areas – all of which I saved. When I feel ready to re-read them, I think it will be then that I fully realize that I still and always will, have his love and support with me. 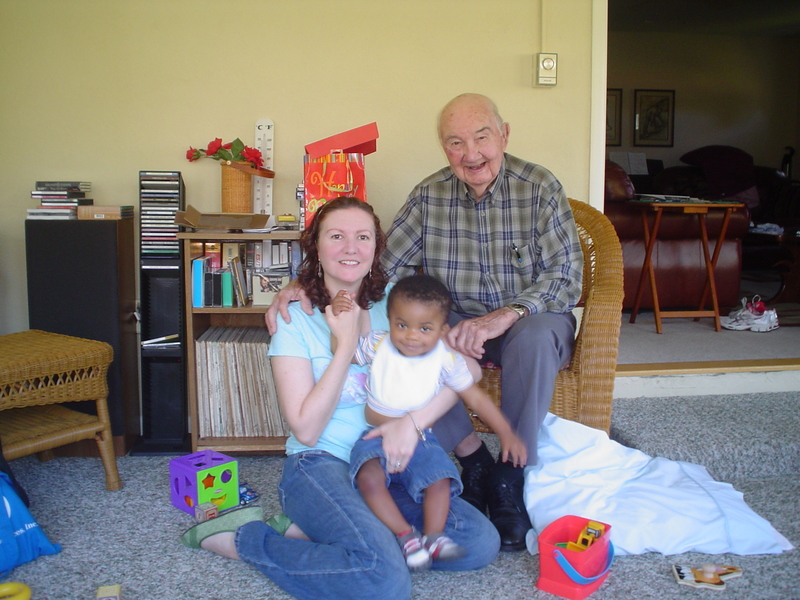 Dad was my biggest supporter as an adoptive parent. 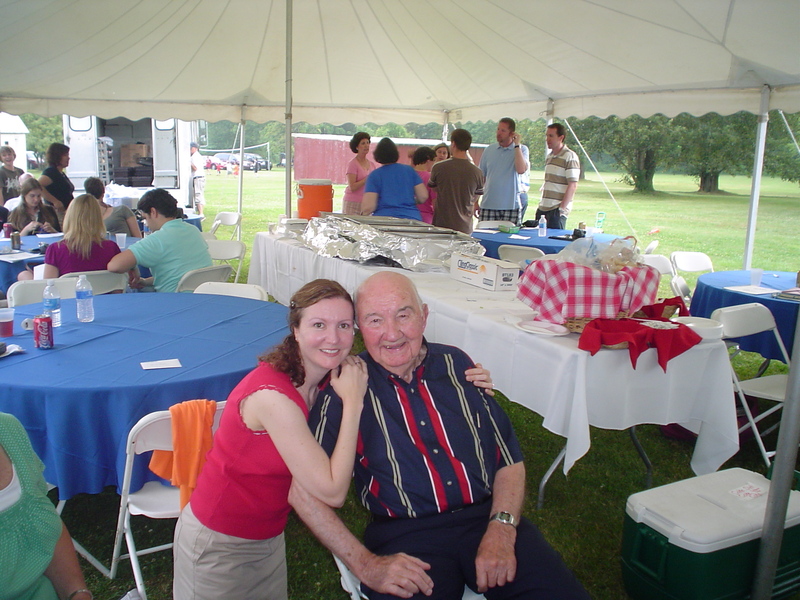 In the end, my family and I were blessed to have Dad with us for as long as we did – he was 94 years old and fully cognizant until his last breath. His heart basically just gave out that morning as my mother sat down beside him on the bed to ask how he was feeling that day. So, he left this world with my mother by his side and, though he was transported to the hospital, for the most part his last moments were in the beautiful farmhouse they lived in for 49 years, and which he treasured so much. As my Dad got older, I used to think that although of course I would be sad when he passed away I would feel more matter-of-fact about his death because he had lived so long and, well, “that’s life.” Now, however, I realize that no matter how old your parents are, it hurts to lose them and though of course that raw pain will soften over time, it will never completely go away. Despite my father passing away when my son was 4 years old, his memory will live on in the every day little things my son and I do together – which are similar to what Dad did with me. For awhile, it was a little difficult to get back to life – especially to my writing, and I basically cancelled writing, and life, for October. My OTMG colleagues were wonderful to fill in for me, and I am so appreciative of all they did for me and for my family to honor my father’s memory. I dedicate this blog piece, and the rest of my writing (and living!) career, to my beloved father, R. Winfield Smith. 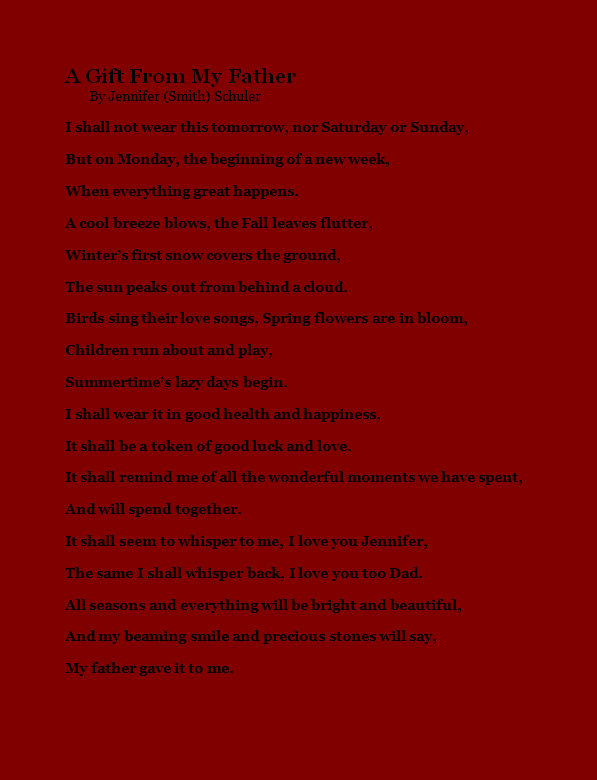 Below is a piece I had published in the Summer 2006 edition of Faith & Family magazine in their Summer Lights section which was titled, “Daddy’s Girl Still.” The poem that accompanies it I had written shortly after I received the necklace mentioned. I love you, Daddy – always. For a little girl, a father is a very special person. He can be her light in a world of darkness. He can be the rock she clings to when she is battered about in life’s storms. He can be a constant presence in the changing seasons of life. On my 12th birthday, my father gave me a garnet necklace accompanied by a note explaining that the garnet is my birthstone. This year, I am 38 years old, and my beloved dad turned 87. After all of this time, he still has a handwritten note I scrawled in pencil as a “thank you” for that gift. Although the writing has faded noticeably over the years, it is still legible. 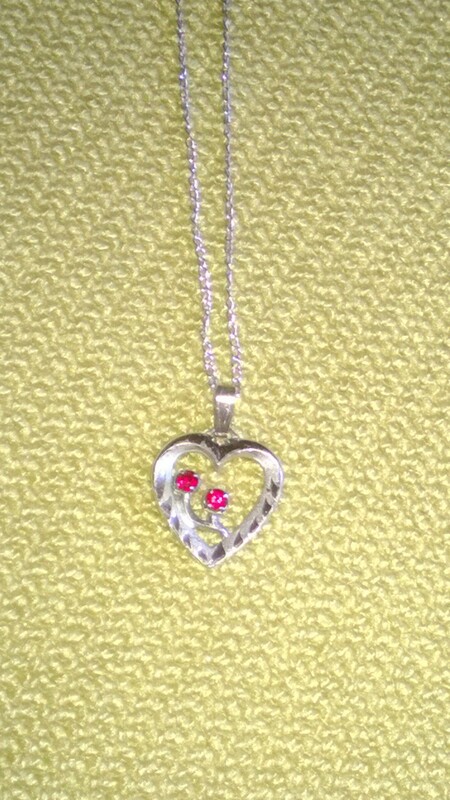 Dad still has my thank-you note, and I still have his necklace. I am so, so sorry for your loss. As I read your post, I kept thinking what a treasure you have in your memories of your father, and in his letters, and in the love he gave you your whole life! Thank you, Chris, for all your support! I too am very sorry for your loss. Your description of your father warmed my heart and brought me to tears. What a dear soul. What an amazing relationship you had with him. What a blessing! Having lost both my parents and in-laws to cancer, I can relate to the void. I pray that God will grant you a peace that passes all understanding during this difficult time. Thank you, Mary Ann, and I am sorry for your losses also. You know then how all this feels for sure. Peace to you. Thank you, dear Camille, for your beautiful words. God bless you!